Google has just come up with a fascinating update for its native iOS App. The update now lets users open the YouTube, Google Maps or html links directly from the App. Earlier, you had to go to the iOS native browser Safari to open all of these. So no if you have your friend sending you his or her favourite YouTube video, you just have to tap the link and it will open in a Chrome window. Thats not all, Gmail will now have a fall back button which will let you return to Gmail after you have watched the video, visited the maps or the hyperlink. 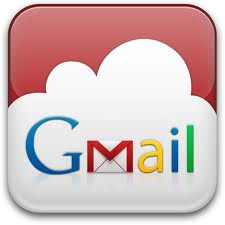 There will be a Gmail button in the Chrome which will instantly let you get back to Gmail. Sounds fun. However you have to enable the setting to get these brownies. Go to the settings menu in Gmail and enable this new feature. Be sure to select the default App for opening links to Chrome. The new update has also changed the Gmail for iOS's sign-in settings. It now lets you sign out of individual accounts. This was a long awaited move from Google as earlier users with multiple accounts had to sign out of all. This proved very irksome if you wanted only a particular account to be online. The move will no doubt have repercussions within the Apple top hierarchy. Because Apple sees Google as a worthy rival. You will remember not long back, Apple had removed the YouTube from the default aps for iOS 6 when it was launched. Google Maps was also initially not available with iOS 6, instead, Apple had launched its own mapping App. That had caused a furore over the people landing in forests instead of the intended place. But from Google and Google lovers point of view it is never so sweet. You can make use of Google Maps, YouTube Apps and Chrome from the Gmail itself. If you are interested, grap the App now from the Apple Store. If you like this App, you can visit this page for many more iOS Apps. Kindly write in your views and comments on this new development from Google. taboo subject but generally folks don't discuss such subjects. To the next! Many thanks! !